The mission statement of the deptt. in enshrined in its vision. The Deptt. envisages to educate and motivate the students towards research in Physics. It especially addresses to the needs of the underprivileged groups / sections of the society. The faculty is fully dedicated and aspires to collaborate with industries and entrepreneurs to ensure high employability for its students. The deptt. strives towards excellence with its obvious concentration in research and act as a research center for the new colleges in the neighborhood. 1. Dr. Purna Bose-Thin film and Photo conductivity. 2. 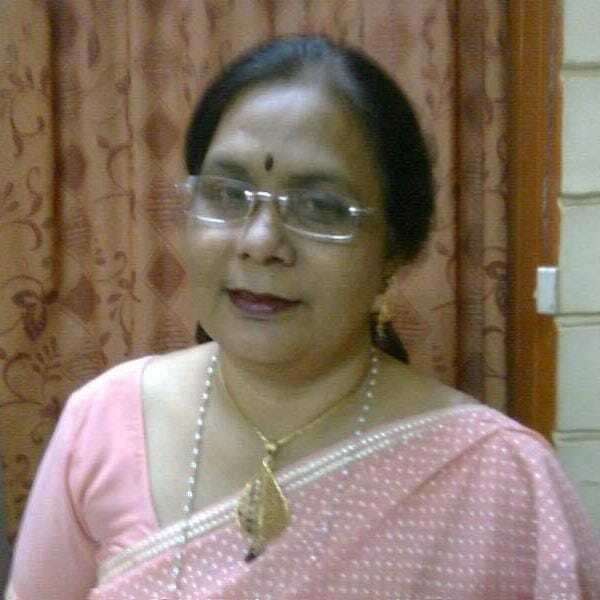 Dr. J.K. Saluja-Material science and Luminescence.
. Mrs.Neelam Shukla, A.P. Kalyan College, Bhilai Nagar. Ms Yogita Parganiha Guest Lecturer, Utai, Durg. Template based growth of nano materials of II –VI compounds and study of their optical properties. Growth of II –VI compound semiconductor quantum dots using various capping agents and their optical properties. Dr. P. Bose, Co-Guide- Dr J K Saluja. Investigations on nanocrystilline and bulk properties of some chemically deposited lanthanide doped (Cd-Zn)S thin films. Synthesis, Charactrization and optical studies of Eu3 , Dy3 and Sm3 doped La AlO3 phosphors. 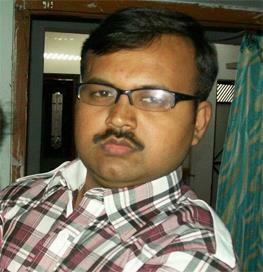 Dr. Ravi Sharma, Devendra Nagar, Raipur.Co guide- Dr. J,K. Saluja. Guide Dr.Meera Gupta, .Co guide- Dr. J,K. Saluja. Material Science and Nanomaterial Lab. Apparatus like: Thermo luminescence app., Spectro Floro Photometer, Dip Coatingunit, Optical fiber communication system, Mechano- Luminescence apparatus,Electroluminescence apparatus, Muffle furnaces, Water Bath, Distillation unit(double), etc. (1) Coguide of Dr. Vikas Dubey from NIT. rare earth doped films by chemical both deposition method. Cost effective and green methods of synthesis of functional nonmaterial. � Purna Bose: “Photoconductivity, XRD and SEM Studies of Gd(NO3) 3 doped (Cd-Pb)S films of different concentration”, SHODH AMISKHA AUR MULYANKAN , II (9-10), 1-2 (Oct. Nov. 2009) ISSN 0974-2832. � Purna Bose: “Photoluminance, XRD and SEM Studies of rare earth doped (Cd-Pb)S films”, Ultra Scientist Of Physical Sciences, 22(1), 35-38 (2010). � A.Oudhia,P.Bose,V.Vishakarma,N.Shukla:Exitonic PhotoluminesenceEmission of Chemically Deposited CdSxSex-1 Films, Calgogenide Letters, 7(7)pp491-496(July 2010.
kinetics of gamma irradiated bhutanese stone, Material Physics Mechanics, 15, 1-8 (2012). 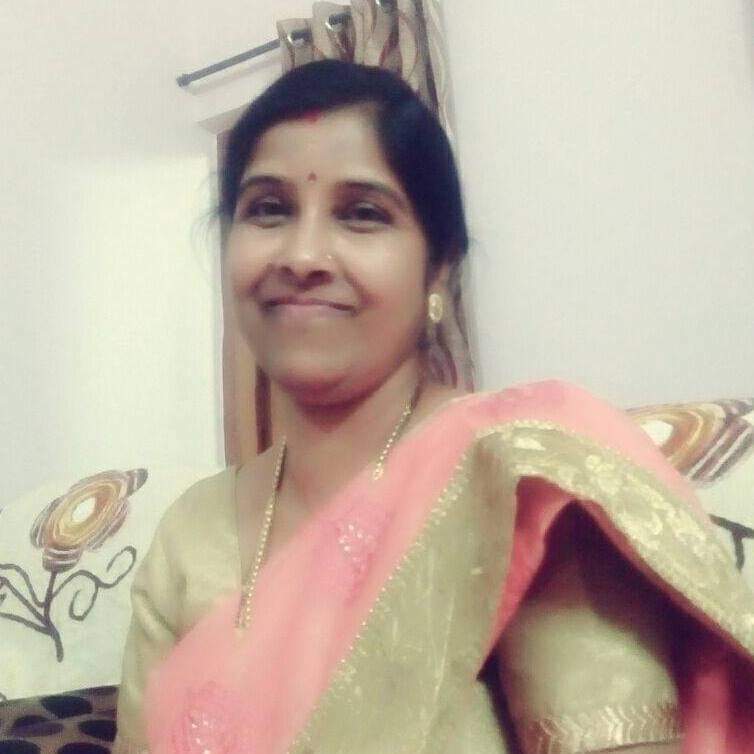 � Kaur, J., Suryanarayana, N.S., Dubey, V., Shrivas, R., Murthy, K.V.R. and Dhoble, S.J., TL glow curve and kinetic of gamma irradiated Quartz collected from Rasmada mines of C.G. Basin, Recent Research in science and technology, 4 (8), 58-60 (2012). ISSN: 2076-5061. � Kaur J., Agrawal S., Suryanarayana N.S and Dubey V., TL study of beta irradiated Quartz collected from semaria mines of C.G.Basin, CSVTU research journal, 5, 27-29 (2012). � Kaur J., Suryanarayana N.S., Dubey V. and Agrawal S., Spectral characteristics of doped CdS phosphors, Archives of Physics Research, 2 (4), 115-120 (2011). � Vikas Dubey, Jagjeet Kaur, N.S. Suryanarayana, K.V.R. Murthy “Effect of Annealing Temperature of Beta Irradiated Calcite”- National conference on recent trends in Physics of solids 2011 ISBN : 978-93-81583-24-1. � Jagjeet Kaur, N.S. Suryanarayana,Vikas Dubey, Sadhana Agrawal, Ravi shrivastava” Kinetics and TL glow curve study of Amarnath stone collected from Amarnath Holy cave”- International conference on Science congress association 2011 Indore. 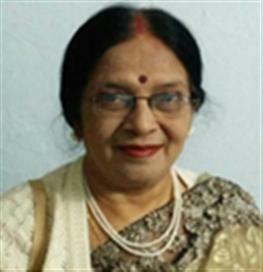 � Vikas Dubey; Jagjeet Kaur; N.S. Suryanarayana; K. V. R. Murthy” Effect of Er, Yb doped SrY2O4 phosphor” Vasavi college, Hyderabad APMS 2013. � S. Bhushan, A. Ouhia; ‘Photoconductivity and photoluminescence in chemically deposited films of CdSSe: CdCl2, Ho’ OER, Versita, co-published with Springer-Verlag GmbH, Vol. 17(1)2009; DOI 10.2478/s11772-008-0050-z; pp. 30-39; Published online: 18 November 2008. � Bhushan. Shashi, Oudhia Anjali; ‘Photoconductivity and photoluminescence studies of chemically deposited CdS-Se: CdCl2, Ho/ Nd films’ Indian Journal of Pure and Applied Physics. Vol. 47, no. 1, pp. 60-65. Jan. 2009. � Oudhia, P. Bose, V. Vishwakarma, N. Shukla; ‘Excitonic photoluminescence emission of chemically deposited CdSxSex-1 films’ Chalcogenide Letters Vol. 7, No. 7, July 2010, p. 491 – 496. � Anjali Oudhia; ‘Effect of different methods of preparations on the shape and size of nano particles of CdS-Se’, conference proceedings Nano 2010, vol.2 Mcmillan publisher, pp110-112. � A.Oudhia, N.Brahme, P.Kulkarni, S.Sharma; ‘Antibacterial activity of ZnO nanoparticles obtained using neem leaf extract as biological template against Escherichia coli’ , Ad. Plant Sci.26 (II) 367-370, Dec. 2012. � A.Oudhia, R. Dewangan, P. C. Choubey; ‘Optical properties of films of II-VI ternary semiconductor compounds deposited by chemical method ‘, JOAM, March 2014, 16(3-4). � A.Oudhia, A.Choudhary, S.Sharma, S.Aggrawal, S.J.Dhoble; ‘Study of defect generated visible photoluminescence in zinc oxide nano-particles prepared using PVA templates’ Journal of Luminescence154 (2014)211–217. � A.Oudhia, A.Choudhary, ‘Microwave pulse assisted wet chemical synthesis of ZnO nanoparticles with excellent UV emission’ communicated in IEEE Xplore journal. � Anjali Oudhia, Youman Kumar Sahu, Aarti Chaudhary, Mohan L Verma, A First principle study of electronic structure of Zno nanoribbon, International Journal of Advanced Engineering Research and Studies, E-ISSN2249–8974. � Aarti Chaudhary, Youman Kumar Sahu,Anjali Oudhia, Mohan L Verma, Shape dependent Structrural and Electronic Properties of ZnO Nanostructures, Advanced Science Letters, Vol.21, Number 9, September 2015,pp.2677-2608(4), DOI No.10.1166/asl.2015.6362. � Youman kumar sahu, Mohan l verma, Anjali oudhia, First principle study of structural, electronic and optical properties of zno quantum dots, International Journal of Advance Research in Science and Engineering Vol. no. 4, Special issue no. (01), December 2015, ISSN 2319-8354.(I.F.2.83). � Shukla A., Verma P., Pandey P.,” Solar cycle variability of solar activity parameter and cosmic ray intensity “ IJSR volume 3,(46-49) 2014 ISSN No. 2277-8179 impact factor 1.86. � Shukla A., Verma P.,”Intensity of cosmic rays in relation to geomagnetic activity parameter Ap and Kp index” European academic research volume 2 issue 12 march 2015 ISSN no 2286-4822 impact factor 3.1. Employment opportunities in the field of renewable energy. Coal testing, repairing and maintenance of electronics equipments. Electronics materials and component development. Two day National Seminar was organized on 2nd and 3rd December 2015 on topic “Energy Harvesting Materials and Techniques for Sustainable Development”.Inaugural session was presided by three vice chancellors, Dr. S.K.PandeyPt.RSS, Univ. Raipur, Dr. N.P. Dixit, Durg University, Dr. R.K.Pandey, NIIT Rajasthan. Keynote Address was delivered by Prof R. K. Pandey, vice chancellor, NIIT Rajasthan. Prof Pandey has beautifully explained both social and technical aspects of alternative source of energy.There were four technical sessions were in this conference to cover all possible aspects of energy.In the 2nd technical session two thematic lectures were delivered.1st thematic lecture was delivered by Dr. Sanjeev Shrivastava of II Sc., Bangalore. He has explained about program and facilities available for researchers in CeNSE, INUP, IISc Bangalore and invited researchers from Chhattisgarh to avail the facilities. 2nd thematic lecture was delivered by Dr. Amreesh Chandra, IIT Kharagpur. He explained about indigenous super capacitor especially for storage of energy and also explained about preparation of carbon nano tube and microbial films cell development.3rd technical session was supplemented by two invited talks. 1st invited talk in this session was delivered by Dr.Tripta Thakur. She covered various aspects like growth curve of energy consumption efficiency of led system and 350.org websites.In 2nd invited talk Dr. Bonya Mukherjee narrated about energy auditing in integrated steel plants. She also explained about drawbacks ofenergy system.This session was also supplemented by two oral presentations by Dr. Ayush Khare and RajnarayanChoudhary. In the 4th technical session again two invited speakers were there. 1st invited speaker was Dr. Shailendra Shukla from CREDA. Who explained about different programmes run by C.G Govt. He explained that the alternative sources of energy as the future energy for sustainable development. The 2nd invited speaker was Dr. S. J. Dhoble from Nagpur. In his lecture he covered every aspect of success of LED research and future prospects and guided students for their future prospects in this field as researchers.This session was also supplemented with various oral presentations by participants viz- Dr. Sonali Shrivastava, Dr. Satyendra Chadda, Mr. R S Ukare, Mr. Manojit De, Mr. Nilesh Dewangan, Ms. Namrata Chauhan, Ms. Aarti Choudhary. One parallel poster session was also organized in which total 12 poster presentations were reported from various field of theme of seminar.The valedictory session was presided by Prof Humbarde Director General Chhattisgarh Council of Science and Technology Raipur. The seminar was sponsored by- Chhattisgarh Council of Science and Technology, Department of Science and Technology, Govt of India and CREDA. Our departmental library has got 2480 books of different (Papers) topics like mathematical physics, quantum mechanics, solid state physics, statistical mechanics, atomic and molecular physics, laser physics, electronics, computational methods etc. Lecture on basics of microprocessor. Four day workshop on instrument repairing. Visit to thanod village for Digital India program. Guest lecture on fundamental element and material science. Lecture on light emitting diode. Visit to science city Nagpur. Nukkad Natak for voting awareness program. Adopted sant kabir IT school. Visit to Bhilai steel plant. The new session 2016-17 was started with an in house workshop of one week (25th July to 29th July 2016) on Power Point Presentation was organized in the Department in order teach the students of M. Sc. Ist Semester how to prepare the PPT.. The training programme was given by the faculty members of Computer Science, Mr. Prafful Manikpuri, Mr. Neeraj Chandrakar and Mrs. Latika Tamrakar. 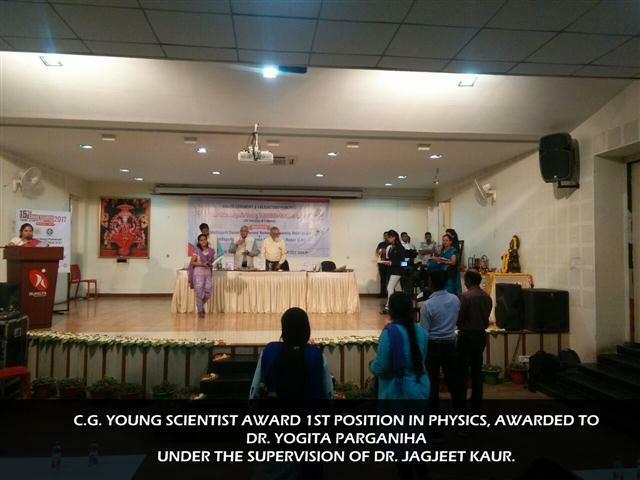 Teacher’s Day was celebrated by the department of Physics on 5.09. 16. On this occasion the H.O.D.,Dr. Purna Bose spoke about the life of Dr. Radhakrishnan and Dr. J.K. Saluja addressed the students. Other faculty members Prof. Anita Shukla, Prof. Siteswary Chandrakar, Dr. Neha, Ms Tripti, Ms Manaka, Ms Pragya, Mrs Latika and the students of M.Sc. Ist and IIIrd Semester were present in the programme. The programme was addressed by Dr, Purna Bose, the HOD she told about the activities and the achievents of the students of the department during the session 2015-16.Dr.G.DSao addressed the students and spoke to work hard so that they can compete with others. 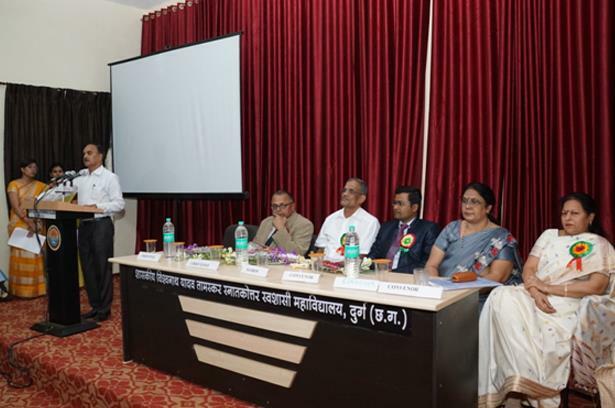 The Annual Report was narrated by Vice President, Dhanesh Banjare’. The anchoring was done by Ms Megha Sahu. useful for their further studies. with laser, dispersion of rays by prism using spectrometer and magnetic field due to circular coil, surface tension of water by capillary rise method etc. About 19 school teachers of Durg district attended the training Programme. The Validictory Function of the Inspire programme was held on 26th Oct. 2016. The chief guest of the programme was the Collector of Durg district,Mrs. 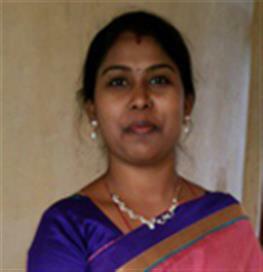 Sangita. The welcome song was sung by the students of M.Sc. Ist and IIrd semster Physics,Tushar R. Dey, Sweta Rajput, Jyoti Thakur, Suman,Manju, Anjali Sahu. Dr. Jageet Kaur Saluja, one of the faculty member of the department delivered one lecture in Govt.College , Utai on 3rd December 2016 on “Competence Building”.